Caregivers must manage the stress and difficulties of professional or family caregiving each day. But helpful advice, informative sources and personal stories can lift a little of the burden in this role. Podcasts offer a simple and convenient way to connect to other caregiver’s experiences. Here are 15 healthcare podcasts caregivers should start listening to. Highlighting caregivers behind the scenes, Jana Panarites discusses the healthcare industry and brings in experts to raise awareness about the aging process. With a focus on informing the world through media, she addresses creative efforts to display different diseases and conditions related to aging. Andrea Weber emphasizes with others caring for two generations. Offering advice on raising kids and managing elderly parents, she takes listeners through the chaos of both responsibilities. For both seniors and caregivers, this show encourages everyone to find the positives in aging. Micheal Pope and her guests talk about everything from technology to pride in relation to older family members and friends. As policy issues come to light, David Introcaso weighs in on the pros and cons. Caregivers can stay current with updates in the healthcare system with this insightful tool. Dale Carter shares her findings on handling parents who are declining in health. Several supports, like financial tips and advice on VA benefits, make her podcast a significant resource. Attorney and legislative specialist Andrew B. Wilson sat down with First Healthcare Compliance to address telemedicine in this podcast episode. As telemedicine rises, it has the potential to impact healthcare delivery, and this informative podcast covers these changes. Executive director and author Carol Howell concentrates on dementia and specific scenarios she encountered with her mother. Her commentary helps others wade through the confusion of caring for a patient with dementia. Christopher MacLellan, affectionately known as “The Bow Tie Guy” is a former working family caregiver, began the podcast to promote advocacy and communication before, during and after Caregiving end. 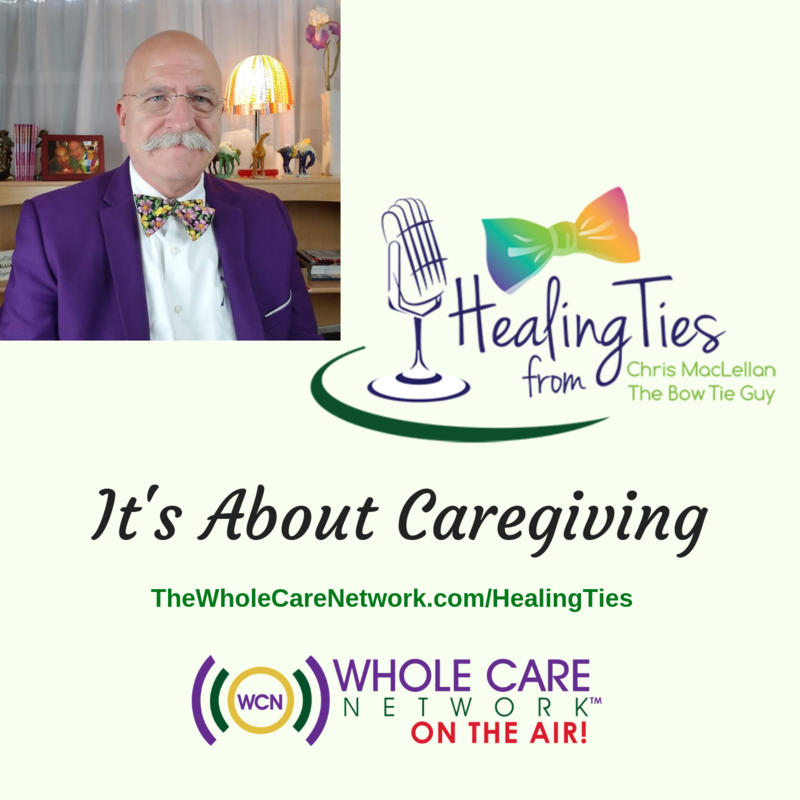 The Whole Care Network is a story-based platform allowing many podcasters to share their caregiving stories, knowledge and resources. From the popular media organization that hosts TED Talk videos, this podcast offers engaging presentations about health. Various doctors, researchers and experts give their recommendations on healthy practices and medicine. Gerontologist Carol Zernial and veteran broadcaster Ron Aaron analyze common questions that plague caregivers. Along with Dr. James Huysman, an author and psychologist, these professionals go over issues like transportation and brain changes in the elderly. Featuring caregivers tending to children with disabilities, too, this podcast pinpoints unique issues in caregiving. It leads back to the fact that different levels and kinds of care still have universal links. Pick up on the complexities of the healthcare industry by listening to commentary from the experts and leaders. Medtech Talk goes over trends and innovations from reliable perspectives. 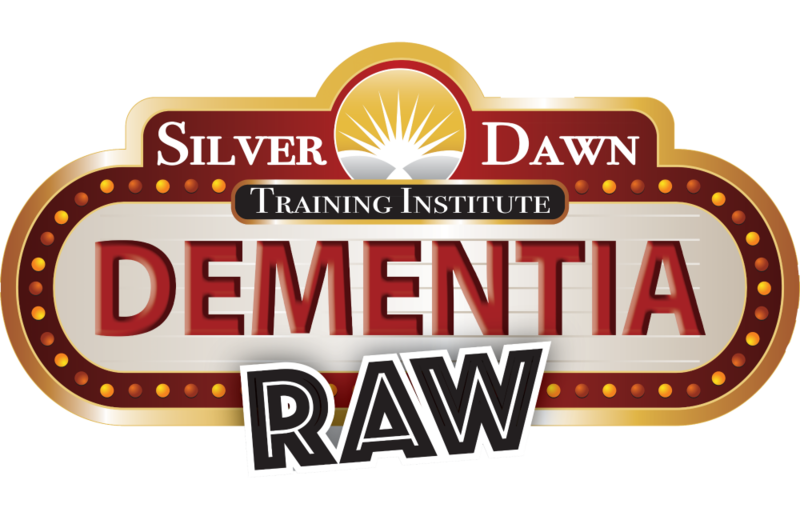 Search through their inventory of episodes to learn about specific solutions that might apply to aging individuals. In storytelling style, comedian Leighann Lord delves into the role reversal aspect of caregiving. As a lighthearted review of the ups and downs of interacting with older parents, she gives her personal account of this unfamiliar terrain. Consultant Elizabeth Miller examines ways to enhance the routine of a caregiver. With tips for self-care, she encourages those in this role to avoid burnout. Dave Nassaney and Adrienne Gruberg each take one-of-a-kind perspectives to this show as they interview other caregivers. Moving forward through grief and making life full for those in their care is a substantial portion of this podcast. While caregiving is an intense role, the daily compassionate efforts of professionals and family members are worthwhile. Podcasts can efficiently spread the stories and resources for caregivers as they support their loved ones. As a caregiver, you have many important things to remember and jobs to fulfill. One area that’s essential for your patients is creating a safe environment. Whether it’s in their home, a facility or even the hospital, there are steps you can take to create a place that’s safe and comfortable without undergoing an entire remodel. Simple steps, such as keeping medication within arm’s reach and removing slippery rugs, can make a huge difference. Here are seven ways to make a space safe for your patients. The bathroom is one of the easiest places for an accident with constant movement such as bending, sitting, leaning over and more. Depending on the person’s level of activity, you can purchase a portable toilet seat that sits on top of the toilet, so your patient doesn’t need to get up from sitting. You can also install adjustable tub seats or grab bars to make getting in and out of the bathtub or shower easier. If your patient is still living at home, you want to make the space feel normal and safe. Consider moving the master bedroom toward the hub of the family if it’s currently located somewhere else. Try to position it so your patient has views of the outside world through a window or a sliding glass door. You can even rearrange the furniture for clear pathways and put the bed in a place where your patient can access it from all sides. It’s easy to think of a home modification as just the interior, but the exterior is just as important. You want your patient to have a beautiful outdoor space with plenty of room for them to enjoy certain activities. For example, try repairing any broken steps and installing plenty of lights in case your patient wants to sit outside at night. You can even get creative with colorful furniture or a swing that catches the eye and serves as a focal point. More hospitals and health care facilities are starting to use window film for protection and energy efficiency. For example, window film can help prevent damage from harsh weather conditions and give your patient greater peace of mind about their home or living situation. Specially designed window films will help shattered glass hold together in places where damage and burglary could occur. Try installing window film in your patient’s home to give it some extra protection. Floors can be a safety hazard all on their own. Scatter rugs, frayed carpet or loose edges can all cause your patient to trip. Remove what you can and tape or tack down the loose carpet edges. In the bathroom, try putting safety strips or a nonskid mat at the bottom of the tub to keep the individual from falling. If certain shelves or closets are too high, leave a step stool on the floor of the kitchen or bedroom, so your patient isn’t tempted to stand on a chair. Odds are your patient would like to keep a level of autonomy. An easy way to grant their wish is by keeping their important items within reach. For example, put a night light on their bedstand along with their medication. In the kitchen, you can keep their favorite snack on the table. Put their toothpaste and toothbrush on top of the bathroom sink. It’s the little things that can make a difference in how they move around. It’s important to create a safe environment for your patients, but you shouldn’t sacrifice comfort. Give them all the tools they need to live safely and comfortably in your home, and you will exceed a job well done. About the Author: Kayla Matthews is a lifestyle and productivity writer whose work has been featured on Lifehacker, The Next Web, MakeUseOf and Inc.com. You can read more posts from Kayla on her blog, Productivity Theory. We welcome back guest writer, Kayla Matthews to The Purple Jacket! Caregiving for an elderly relative is a role that falls on different family members and professional caregivers depending on the family and expectations. And many families often fail to discuss how much responsibility a caregiver should take on and for how long. When the time comes for a parent or grandparent to have extra help, you may feel the burden and stress of assuming this role. Although you love and respect the person and want to give them your support, it may not always be the best option. Or you may currently be a caregiver, but the stress and work are harming your social, emotional or physical health. It’s common to feel guilty or unsure how to tell an aging person “no” or to tell your family that you can’t handle the load. But when is it the right time to say “no” to caregiving or simply take a step back from your current involvement? Let’s look at when and how you should voice the need for change while preserving your family relationships and your consideration for the person. Limits can help you to establish boundaries for your involvement as a caregiver or to say, “Hold on for a minute!” when the person in your care requests something. You and your siblings may need to share the responsibilities of care if your life has been consumed by the person’s needs and wants. Boundaries are a right and a healthy function of families. In your caregiving role, you continually need a set of limitations to regulate healthy interactions. If you feel undue stress and over-involvement, you are likely exceeding an appropriate level of care. It is acceptable to say “no” when you are overextending yourself without limits. If you feel you are unable to handle caregiving duties on your own, you should ask for assistance. Whether you can’t tend to all of the person’s needs or balance their medical requirements, asking for help is appropriate. It’s difficult to be vulnerable and admit you need help, but it will be better for you and the person you’re caring for. Rather than stretching yourself too thin, reach out to other relatives and your support system to find others to share the load. Home-delivered meals and caregiver counseling are a few resources you can use, too. Saying “no” doesn’t necessarily mean you’re hurting the person who needs care — in the long run, it will help them. 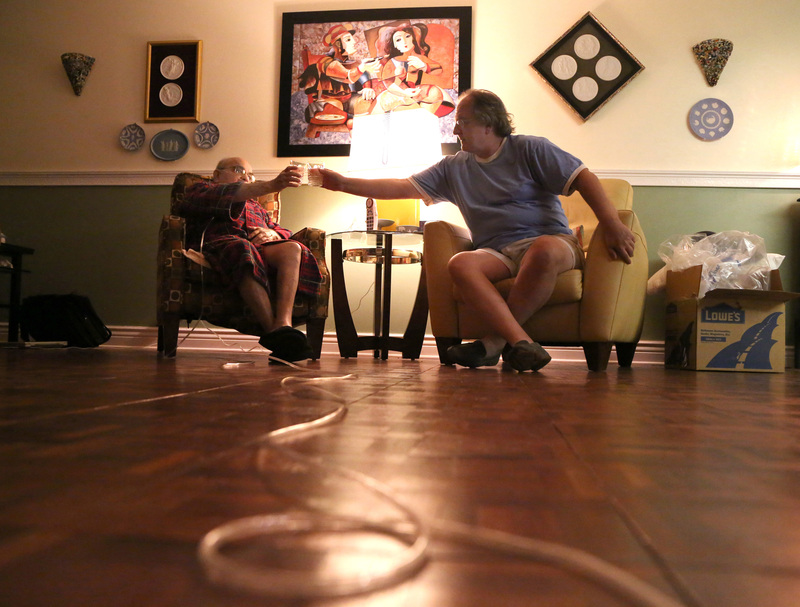 You can say “no” to caregiving by sitting down with your family for an honest conversation. Have this discussion at the beginning of the process to make roles and responsibility clear from the start. When you see that the situation has to change, reconsider what is best in a caregiving role and what the aging person needs. Family members may react differently than you expect if you need to take a step back. But remember, you don’t always need to explain yourself. When you are caregiving and you have to say “no” to a senior’s requests, simply tell them, “I can’t do that right now. Please wait.” They may not understand why you can’t do everything they ask, especially if dementia or Alzheimer’s has set in, but you can communicate a firm resolve with patience to them. The aging person gets better support from other caregivers or family. You maintain healthy boundaries and reinforce your emotional and mental stamina. You know how to say “no” next time. Whether you are a professional caregiver or a family member stepping in, you can be confident and honest when saying “no” to overextending yourself. Communicate your feelings and needs as soon as possible with the people in an aging person’s life. Kayla Matthews is a lifestyle and productivity writer whose work has been featured on Lifehacker, The Next Web, MakeUseOf and Inc.com. You can read more posts from Kayla on her blog, Productivity Theory. We welcome back guest writer, Kayla Matthews to The Purple Jacket. As a caregiver, you want the elderly people you look after to feel safe and comfortable. Whether they live at home or in an assisted living facility, their health and continued well being relies in part on the safety of the other people in their environment. While many caregivers show elderly clients the utmost respect, others may not always have their best interests at heart. Elder abuse is any intentional action that harms or could bring harm to an elderly person. Anyone can commit elder abuse — including caregivers, family members, friends and strangers — and the abuse can be physical, emotional, sexual, financial or neglectful in nature. It’s easy to see how any act of abuse could cause a decline in an older adult’s health or quality of life. Unfortunately, incidents of elder abuse are more common than many people assume. Around 10 percent of elders experience some form of elder abuse, according to one comprehensive review. Despite the prevalence of abuse, it remains under-reported, which makes it difficult to address effectively. Reporting suspected elder abuse is the best way caregivers and other individuals can help address this widespread problem. Detecting abuse has proven difficult, though, especially because people may confuse signs of abuse with symptoms of aging or other conditions like dementia. In order to notice and report elder abuse, people need a clear understanding of the signs related to abuse. Here are five warning signs caregivers should look out for. Unexplained injuries may be signs of physical abuse. These injuries can range from small bruises or cuts to broken bones, though you may also watch for subtler signs of nursing home abuse like restraint markings on the wrists or ankles. If you notice injuries that seem suspicious, talk to the person about it. If they don’t have an explanation or if the same injuries keep coming up again and again, it could be a sign of physical abuse. Emotional or other kinds of abuse may result in behavioral changes. These could include increased fear, withdrawn personality or lack of interest in previously enjoyed social activities. An abuser may isolate a victim, making them more vulnerable, so it’s important to combat their mistreatment by staying in contact with loved ones frequently and paying attention to possible behavior changes. If you notice any signs of emotional abuse, consider reporting them. Though neglect may not be intentional, it can pose a serious danger to an older person’s safety, so it is often included in definitions of elder abuse. Signs of neglect may include unclean living conditions, dehydration or malnutrition or bed welts, which develop when a person is not turned often enough in bed. An elderly person may also experience neglect if they are abandoned or left alone in public. Neglect is a serious form of elder abuse, so you may also need to report it in addition to other forms of mistreatment. Some people intentionally take advantage of an older person’s money or financial vulnerability through scams or simply asking for money. Signs of financial abuse include missing checks, strange bank charges and a sudden inability to pay bills on time. Contrary to popular belief, family members are the most common perpetrators of financial abuse, so it’s important to pay attention to these risks regardless of the older adult’s living situation. A caregiver who refuses to leave an older person alone may also be a sign of abuse. Though this behavior may seem sweet or attentive, it could be used to intimidate the person and keep them from discussing their mistreatment. If you suspect abuse, try to discuss it with the person alone, away from anyone who may try to influence the conversation. These aren’t the only signs of elder abuse. Because every situation is different, the signs of abuse may vary. If you notice these or other signs, though, you may consider reporting abuse to an appropriate authority like the police or adult protective services. By educating yourself and others about the problem and reporting elder abuse when you recognize it, you can help keep the older adults in your community safe, healthy and happy. Serving as a caregiver to an ailing family member takes a lot of both physical and emotional resources. No matter how much you love the person, the extra work and stress take a toll. Caregiver burnout is a common concern. There are about 43.5 million unpaid caregivers in the United States. Family caregivers spend over 24 hours a week caring for their loved ones. If the person lives with their caregiver, the average hours go up to more than 40 hours a week. Caregiving is physically demanding in some cases, which can lead to physical exhaustion. In addition, you may feel worried about your ailing parent or child and not sleep well. The combination of exhaustion and stress leads to irritability that can hurt both you and the person you take care of. If you find yourself easily aggravated, you likely aren’t getting enough rest. The solution is to find at least a few hours a week where you can get away from it all and relax. You might have to hire a nurse to come in for a few hours or ask for help from another family member. Taking time to refresh your inner being allows you to better care for your loved one the rest of the week. Working long hours without recognition leads to burnout just as it does in an outside job. Caregiving is often a thankless job. The person you’re caring for may feel too ill to explain their appreciation or may not have the mental faculties to express their gratitude. As you start to feel hopeless over the situation and unappreciated, you may pull away from friends who don’t have the same burdens. Going to the activities you enjoyed in the past may seem like just one more thing you have to do. Find at least one good friend to confide in about how you’re feeling. Talking to others who’ve been through the caregiving process not only makes you feel understood but gives you tips from someone who’s been through it. If you’re caring for an elderly parent, they may have multiple doctors all telling you something different. 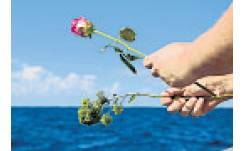 The prognosis might not be a positive one, and you may also grieve the waning time you have left with someone you love dearly. Feelings of hopelessness are common in caregivers. Take the time to talk to medical professionals about the exact prognosis for your loved one. You can engage with numerous healthcare experts, look up informational videos, or attend caregiving keynote events. This could help you clear up some of your concerns or at least some new ways to deal with the disease. You’re busy running here and there and everywhere. Your diet may grow poor, either filled with processed, unhealthy food or lack of meals. Empathetic people have a hard time putting themselves first and may take care of their loved one and not take care of themselves. If you don’t take care of yourself, it’s hard to take care of someone else. If you get sick, what will your loved with do? Is there anyone else who would step up and take your place? Make your own health a priority. Eat regular meals and make sure they’re nutrient filled. If you’ve always been an upbeat person and suddenly you’re making cynical comments and having nasty internal thoughts, then you might be approaching burnout. Studies show that the psychological effects are more intensive than the physical effects of caregiving. If you notice your attitude has changed from an upbeat one to a negative one, that’s a sign of burnout. Don’t feel afraid to ask for help with the overwhelming amount of tasks you have to complete. Make a list of responsibilities and figure out who could help with some of them and reduce your burden. Caregiver burnout is simply your body’s way of telling you that you need to slow down and take a break. It doesn’t mean you don’t love the person dearly or that you’re a bad person in any way. Listen to what your brain and body are telling you, ask for help if you need it and seek out people in similar situations who can serve as a sounding board and resource to draw upon. Recently, my community suffered a significant loss. 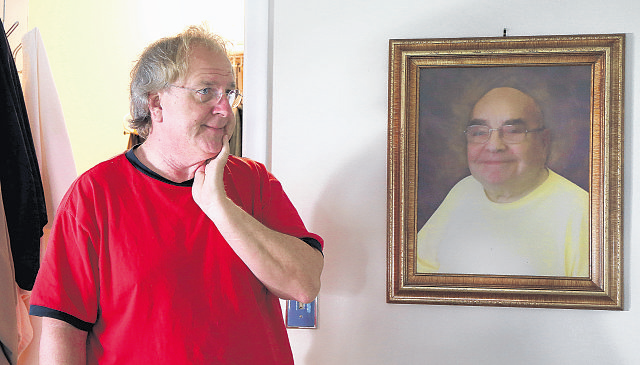 A beloved local teacher lost his fight with cancer, and the entire town mourned. You’d barely be able to find a family his kindness and warmth didn’t touch. He taught tech-ed for many years, and he always managed to engage and empower his students — even those who weren’t particularly into the subject matter. His loss was a deep one for the community, but there was a bright spot. His family received an outpouring of support and love that buoyed them in the hard times following his death. This teacher’s passing is one example of why being part of a tight-knit community is so important. Community upholds you in the tough times and cheers you on in the good times. It’s particularly vital for people like parents and those who are caring for someone ill. These caregivers often pull great strength from their community in a few different ways. Every community includes children, and sometimes, these small-but-mighty members are pillars of the community, in a way. Kids that are well cared for usually wake up in an innate state of happiness each day. A child’s natural tendency toward happiness is a big asset to the community. When adults get bogged down by the weight of a situation or the responsibilities of living in the grown-up world, a child chasing around bubbles or singing a song can instantly inspire a smile. If you or someone you know is a caregiver, particularly for an older adult or someone suffering from illness, you know social support is imperative for caregivers. Putting someone else’s needs ahead of your own and watching them deteriorate is a grueling act of love and kindness. When caregivers share their stories, even if they’re sometimes rather bleak, they remind other caregivers they’re not alone. In fact, some websites exist entirely to connect caregivers in a community in this way. Social media is an easy way to stay in touch with your community if you’re a caregiver, parent or anyone else who needs support. It’s particularly helpful because it’s easy — you don’t even have to leave the house to engage with other members of your community. And while standard social media sites like Facebook offer groups you can join to connect with other people in similar situations, some social media platforms focus on caregivers exclusively. For instance, the Caregiver Action Network allows you to share your inspiring story, listen to those of others and enjoy some uplifting from motivational speakers. When tragedy strikes, you might be tempted to curl up in a ball and hide from the world. But if the passing of our beloved local teacher has taught me anything, it’s that you should do the exact opposite. When you reach out to the community in times of trouble — or even in times of victory — you’ll always receive an outpouring of support, often from people who understand exactly what you’re experiencing. Whether it’s a career you want to pursue or something you want to do to use your time to give back, being a caregiver is both a challenging and rewarding experience. People do it every day all over the globe to make sure their loved ones and others get the care and help they need. It’s a selfless job for anyone who wants to take it on, and like all other jobs, you should have certain skills before you step into the role. Beginning your journey as a caregiver before you know if you’re ready for it would be a major problem. Not only would you be putting yourself in a bad position, but you’d be preventing someone from getting the quality care they need. Read on to see which skills are most important for you to have as a caregiver. Find out what you can do to improve those skills if you find yourself lacking, but don’t let yourself be discouraged. If you’re passionate about caregiving, that love and effort will shine through. Your ability to communicate is another skill you’ll constantly improve as a caregiver. Not everyone communicates in the same way, especially if the person you’re caring for has limited communication abilities. You’ll need to be quick to pick up how they communicate best and then work with them to become a better team. You may also need to be able to translate their needs to other family members or caregivers. Ensuring you have good communication skills will improve the lives of everyone involved with your caregiving. Compassion is something everyone should have a good grasp on, because it makes you a better person and promotes a positive environment for the people around you. It’s especially good to have as a caregiver because you’ll be able to empathize and easily understand your patient’s point of view. Showing genuine compassion will pass on a higher level of kindness to the person you’re working with, which will make them more comfortable and trusting. Every day, you use your problem-solving skills to get through your daily routine. You might need to locate missing supplies or adapt to quickly changing work situations. In an emergency medical situation, you could need to know legal issues of caregiving. Whatever happens, you can find a new solution, which is invaluable as a caregiver. The person you assist will depend on you, so if something doesn’t work out according to plan, you’ll need to know how to solve problems on the go. This skill is something you’ll hone throughout your career, but be confident in it before you become a caregiver. Caregiving isn’t only about meeting a person’s physical and emotional needs. It’s also about maintaining their quality of life. That means planning hospital visits, scheduling doctor appointments, keeping track of medications and balancing their social life. If you’re a caregiver for a parent, this also means you should have preparations for emergencies. Juggling all these things means you’ll need to be great at organization to be a caregiver. The better you can handle the aspects of a person’s life who needs assistance, the happier they’ll be. Providing care to someone who needs it is something you can do to bring joy to their lives, but it won’t come without challenges. You’re going to be building a relationship with your patient as well as meeting their needs. These needs may seem like a lot at first, when you’re not used to what they need and how they live. Patience will be essential to your success, so practice patience daily, because going into caregiving with a quick temper won’t lead to anything good. Before you start looking after anyone, it’s always a good idea to try to consider the situation from their perspective. They may have transitioned from an independent life to one where they need to depend on someone else for help, and that can be hard. They’ll have individual challenges that will frustrate them, and you’ll need to be there for them even at their most difficult moments. Do your best to remain positive in all situations, because genuine positivity easy to share. Giving back to someone through your job or a volunteer opportunity can change their day, week or even their whole life. Be sure you’ve got the skills you need before you enter that role. Maintaining a positive attitude, always being organized and having compassion will take you far in the role of a caregiver. Practice these things so when the time comes for you to take care of someone in need, you can be the best person possible for them to depend on. No matter if you’ve chosen caregiving as a career path or are overseeing the well-being of a family member in your home, technologies exist that can make your job easier and keep the people you assist safer. Some ailments, such as dementia, make people quickly become confused and wander away, despite their caregivers’ best efforts to ensure their safety. The AngelSense GPS tracker reduces those panic-filled moments where caregivers wonder what happened to the people they were looking after. A person in need of care wears it on their body, and an accompanying smartphone app reveals that individual’s location. The app also allows urgently notifying first responders in the event of an emergency. A geofencing feature provides email and text alerts if a person wanders outside a defined area, too. There are numerous other GPS tracking choices, but this one is more economical than most, even with the monthly service subscription. Doctors regularly use wearable devices to deliver things like medication reminders or engage in remote patient monitoring. The AngelSense device lets everyday consumers realize why medical providers increasingly depend on wearables as essential parts of patient care. When a family member isn’t doing well, loved ones become even more stressed out. Many of them provide care that seems appropriate, but don’t realize someone has already assumed responsibility for handling a certain need. The Carely app aims to streamline communications between family members and professional caregivers to ease mental distress and overall confusion about care. It also saves time for primary caregivers by compiling information temporary providers of care can instantly access through the app. Moreover, medical professionals can upload content to Carely, creating digital versions of paperwork. Many of the caregiving apps on the market don’t specifically focus on family members, but Carely does. It informs everyone at once, which is particularly useful when loved ones live out of town and can’t visit the people who need care as much as they’d like. Facilities that manage the care of numerous people at once need an efficient way to contact loved ones in case of emergencies like building maintenance issues, power outages or other unplanned events. An express messaging system distributes communications in bulk to targeted recipients, thereby saving time during hectic circumstances. An express messaging service can also be useful inside an assisted living community to remind residents about upcoming social events or other matters related to their daily activities. Transfers are among the most common duties caregivers handle, whether to help a person move into an armchair or get into bed. However, improper lifting techniques can cause back strain for a caregiver and put the lifted person at risk of falling. The Patient Handler from Maddak is a shaped piece of flexible plastic that looks like a sling and conforms to a person’s shape. It features two pairs of cutout hand grips on either side, enabling caregivers to find the best position to lift a person securely. Other — significantly more expensive — transfer aids exist, but the comparatively low price of this option and its basic design make it user-friendly and affordable. Caregivers have dozens of things to remember each day, and there’s always a chance they might forget a couple of them — they’re humans, after all. Reminder Rosie helps prevent that possibility by allowing caregivers to record up to 25 custom reminders in any language to aid people in need of assistance with remembering things such as to eat regularly, exercise or take care of personal grooming. It’s possible to set reminders to go off at any day or time. The Reminder Rosie gadget looks like a clock, but it’s mostly voice-activated, so people don’t have to fumble with cumbersome buttons. An emergency backup system ensures the product keeps working even during power outages. A decision to work as a caregiver comes with challenges, but most people who choose the path realize it’s worth those momentary obstacles. The solutions listed above could reduce stress and enhance the quality of care for both patients and those who look after them. Your loved one needs assistance to maintain her sense of independence. Whether recovering from a hospital stay or experiencing progression of a diagnosed disease, you want to assure his or her safety while helping them enjoy as much freedom as possible. Looking down the road, you consider options which will allow them to “age in place” with grace and dignity. Assisted Living Facilities are designed around the concept that a resident’s opportunity to maintain — or improve — their current quality of life is enhanced with extended services and support staff all under one roof. Many residents enjoy individual apartment or condominium living within the confines of a secure, care-oriented program. Determine whether the facility is located close to your loved one’s support network of family and friends. If not, is there a conveniently-located hotel nearby? How far will they have to travel for preferred medical and pharmacy services? Check city-related data such as neighborhood safety ratings and which local public transportation options are available. Does the facility employ a centrally-monitored security company and what does it offer? Advanced features such as video surveillance and specified access control systems help protect resident safety, while assuring personal and medical care staff members the opportunity to respond quickly and efficiently when needed. Often, progressive aging symptoms include reduced visual acuity, memory loss and balance instability. Check common facility areas for American Disability Act compliance. Are hand-rails continuous and easy to distinguish against wall design features? Is flooring soft and feasible for walkers and canes? Are visual cues in place to offer guidance for pedestrian walkways, and is lighting consistent throughout? Identify whether or not staff members undergo background checks and if everyone, staff and residents included, are up-to-date on immunizations. Ask about “missing person” drills and if residents are issued unobtrusive locator bracelet or necklaces. Clearly identify which medical services are offered on-site. How is the initial medical care plan assessed and who oversees daily medical management? What is the standard operating emergency procedure and how often is it tested? Are nurses or nurse practitioners, occupational therapists, physical therapists and dietitians employed on staff? Determine the ratio of medical support personnel to residents. What does the facility provide by way of general housekeeping? Is an accountant available to help residents pay their bills and manage their accounts? Are housecleaning and laundry services offered, and do they include changing linens? Inquire about assistance with general shopping and in-house meal preparation. Make sure there are at least as many options available to support your loved one’s sense of freedom and independence as there are to protect her medical health. The enjoyment of wholesome and appealing food is all-important part of life satisfaction as well as healing. As your loved one ages, they will inevitably lose taste buds and the ability to distinguish between sweet, sour, bitter, savory and salty. It is vital that meals with appropriate texture, spiciness and aroma be offered on a regular basis to prevent appetite loss and poor nutrition. Check into the communal dining experience. Is the seating area clean and attractive? Are three, well-balanced meals prepared per day? How about snacks and beverages? Does the culinary staff honor special dietary needs? See if you can snag some recent menus and inquire about the feasibility of family members joining an in-house meal while visiting. Ask current residents how they like the food — you’re likely to get impassioned responses one way or the other! Social interactions and community ties help ward off feelings of isolation and depression that often accompany a significant life shift within the elderly population. Older adults who are socially active enjoy reduced stress and anxiety levels, increased self-esteem and are even more likely to exercise regularly. Ask about a facility’s planned group activities and outings. See if you can access a recent calendar of events. Consider tossing in a question about opportunities to socialize with any resident who has already weighed in on the food issue. Your loved one’s increased need for assistance is an excellent opportunity to take stock of supportive ways to protect both her freedom and health for many productive years to come. Assessing critical factors of location, safety, medical and personal care, diet and social involvement presents a well-rounded view within which to consider promising options.